In this article we explore some factors that may help to explain why some people create and then actively work on development plans and others don’t! 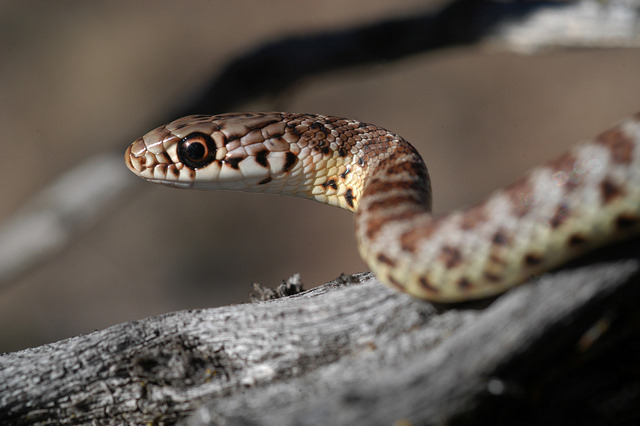 In the course of the discussion we will be looking at the role of snakes in shaping our understanding of the topic! Generally, the aims of personal development planning are, first, to document a process of self-analysis, personal reflection and honest appraisal of strengths and weaknesses and then to help the individual to “take charge” of their own learning and development. The process of taking charge is usually encouraged through documenting a plan that typically lays out goals, timelines, interim achievements and the methods of goal achievement. Commonly a plan will outline areas of learning and development activity that are reasonably considered likely to enable the individual to either acquire new or develop existing skills and behavioural attributes. The end goal may, helpfully, be rather precisely identified and the whole process is often aiming at enhancing performance, addressing anticipated changes in a current role or laying out a developmental pathway towards a future role. What is considered relevant content in the planning process – and the content of the plan itself – will clearly be influenced by the purpose to which the plan will be put. Development planning of this type is now, of course, widely used in educational, relationship, leadership and career contexts. When the purpose of the plan is personal, an individual may want to retain to himself or herself the function of assessor of improvement or of regression. Where some validation of objective improvement is needed that will require assessment using standard criteria. These might include goals or benchmarks that define the end-points, strategies or plans for reaching goals, measurement, and assessment of progress, levels or stages that define milestones along a development path, and a feedback system to provide information on changes. Much practice in this area has been influenced by psychologist Albert Bandura’s work – and here come the snakes! Bandura, investigating the fear and behaviours of people afraid of snakes, found that those who believed that the snake would not hurt them and/or that they would be able to manage the situation with the snake and to control their own rising fear would, in fact, succeed. This self-efficacy belief enabled the phobic individual to manage both their fear and their own behaviour. According to Bandura, self-efficacy, or the individual’s belief in his or her own abilities to deal with various situations, can play a role not only in how people feel about themselves – but also whether or not an individual successfully achieves their goals in life. Indeed, since Bandura published his seminal 1977 paper, “Self-Efficacy: Toward a Unifying Theory of Behavioral Change[i],” the subject has become one of the most studied topics in psychology. But why has self-efficacy become such an important topic? As Bandura and other researchers have demonstrated, self-efficacy can have an impact on everything from psychological states to behaviour to motivation. Bandura’s research on success in reaching goals suggested that self-efficacy best explains why people with the same level of knowledge and skills get very different results. According to Bandura this self-confidence functions as a powerful predictor of success because it enables those who have it to expect to succeed; it allows these people to take risks and set themselves challenging goals; it motivates them to keep trying if at first they don’t succeed, and, it helps them control emotions and fears when the going gets tough. “The most effective way of developing a strong sense of efficacy is through mastery experiences,” Bandura explained. Performing a task successfully strengthens our sense of self-efficacy. However, failing to adequately deal with a task or challenge can undermine and weaken self-efficacy. Bandura’s perspective underlines the importance of providing clients with opportunities to practice in a “safe” and reasonably supportive environment and not necessarily “biting off” too much at the beginning of the development process. Witnessing other people successfully completing a task is another important source of self-efficacy. According to Bandura, “Seeing people similar to oneself succeed by sustained effort raises observers’ beliefs that they too possess the capabilities to master comparable activities to succeed.” The key features of this observation relate, of course, to the phrases “similar to oneself” and “sustained effort”. Bandura also asserted that people could be persuaded to believe that they have the skills and capabilities to succeed. Consider a time when someone said something positive and encouraging that helped you achieve a goal. Getting verbal encouragement from others helps people overcome self-doubt and instead focus on giving their best effort to the task at hand. Whilst this is by no means universally true, it is my experience as a coach that many leaders rarely receive encouragement and that this, where appropriate, can be a very valuable coaching input. Our own responses and emotional reactions to situations also play an important role in self-efficacy. Moods, emotional states, physical reactions, and stress levels can all impact how a person feels about their personal abilities in a particular situation. A person who becomes extremely nervous before speaking in public may develop a weak sense of self-efficacy in these situations. The coach can serve to assist a client really understand particular situations through sensitive questioning and by helping their client to put a single experience into an appropriate context. Doing so can help the individual pay attention to the totality of their experience and prepare for subsequent opportunities in a more rounded and holistic way. As Bandura notes “it is not the sheer intensity of emotional and physical reactions that is important but rather how they are perceived and interpreted.” A coach who helps to bring these perceptions to the surface and to understand what truly was happening on that prior occasion can facilitate invaluable learning for the next time. [i] Bandura A. Self-efficacy: Toward a unifying theory of behavioral change. Psychological Review. 1977; 84, 191-215.